Hello! 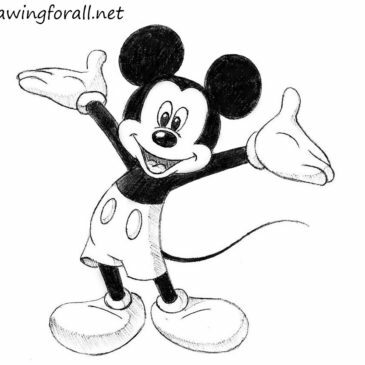 Today we have prepared for you a new drawing tutorial, in which we will teach you how to draw Mickey Mouse. 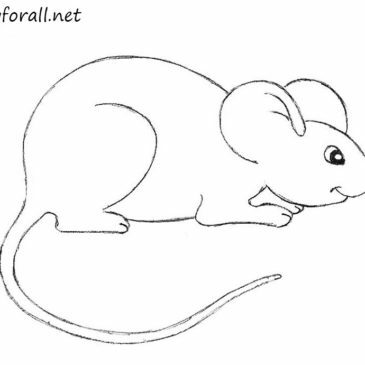 This mouse is known to all people on the planet. Hello, dear readers! Today we’ll show you how to draw Ded Moroz for kids! Ded Moroz – the main character of the New Year holiday, the East Slavic version of the Christmas gift-bringer. Hello everyone! 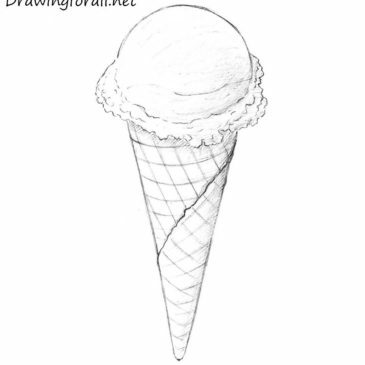 Today we are going to draw an ice-cream cone. At the end of the lesson you should get a very realistic ice cream, although it is fairly easy drawing lesson. Hello everybody! 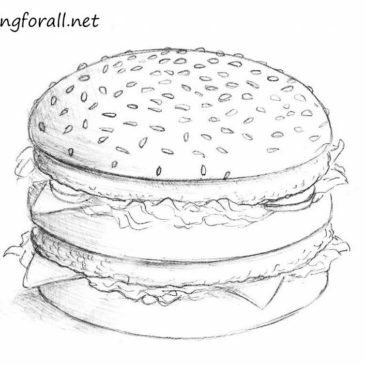 It’s Drawingforall.net with a new drawing tutorial, in which we will teach you how to draw a laptop. 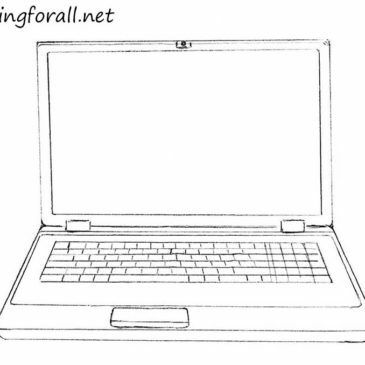 In general, the laptop – is a portable personal computer. Hi! 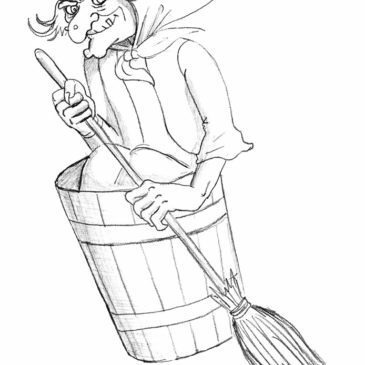 We prepared for you a new drawing tutorial in which we will teach you how to draw Baba Yaga. Baba Yaga – the ancient character of Slavic mythology. Hi! 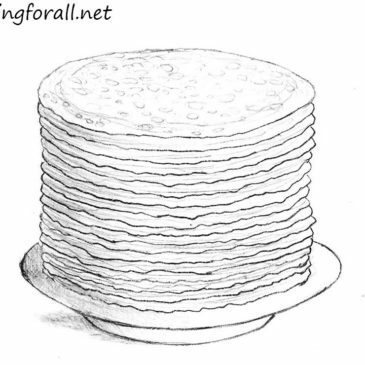 Today we are welcome you to our drawing tutorial’s website drawingforall.net! We hope that today’s lesson will be very easy for everyone, even for beginning artists. Hello everybody! 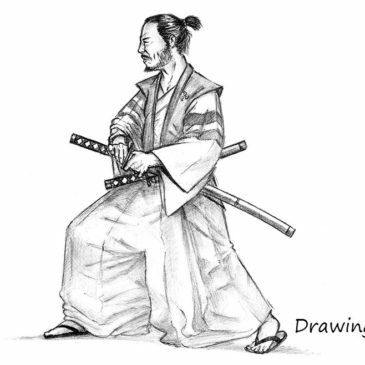 It’s drawingforall.net, and today we prepared for you a new drawing tutorial in which we will tell you how to draw a samurai. Note that this drawing is pretty complex and detailed. Hello, friends! 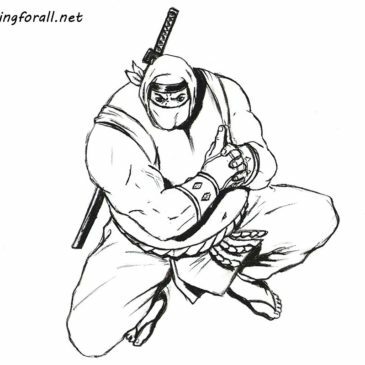 It’s drawingforall.net with new drawing tutorial in which we will teach you how to draw a sumo ninja. In our previous tutorials, we already have drew ninjas – Sub-Zero and Scorpion.